Forever a popular destination for Americans, I couldn’t tell you the number of times I get asked about how to book awards to get to Europe. Fortunately, with Chase Ultimate Rewards points, you’ll have options that save you points or help you avoid carrier-imposed surcharges — and sometimes both! You’ll have access to programs with region-based award charts — fly from anywhere in North America to anywhere in Europe with connections for the same number of miles — and even a couple that use distance-based charts — the number of miles required is determined by how many miles you actually fly. Across these programs, we’ll cover options that allow you to book flights on Oneworld, SkyTeam and Star Alliance partners (and more). In June 2018, Air France-KLM Flying Blue reconfigured its program to be more like Delta’s, unfortunately. Rather than using a simple region-based award chart, you’ll need to check the Flying Blue Miles Price Estimator to determine saver level on a specific route. 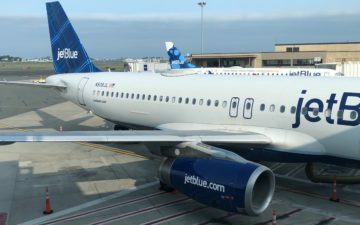 Before we get into specific redemption rates, make sure you remember that Flying Blue will pass on carrier-imposed surcharges when applicable. However, you can keep the out of pocket cost down by booking one-way awards on Delta from the U.S. rather than Air France — this is not the case if you’re starting in Europe. As you can see from the examples above, you’ll want to make sure you check the Miles Price Estimator to ensure you know how many miles are required for a saver level award. While this is annoying, Flying Blue does treat Israel like a European destination so you can book a one-way economy award from the U.S. for 25,000-29,000 Flying Blue miles or business class for 53,000 miles. If you travel plans allow it, try to take advantage of Flying Blue’s monthly promo awards which can save you 25-50% off the saver award rate. 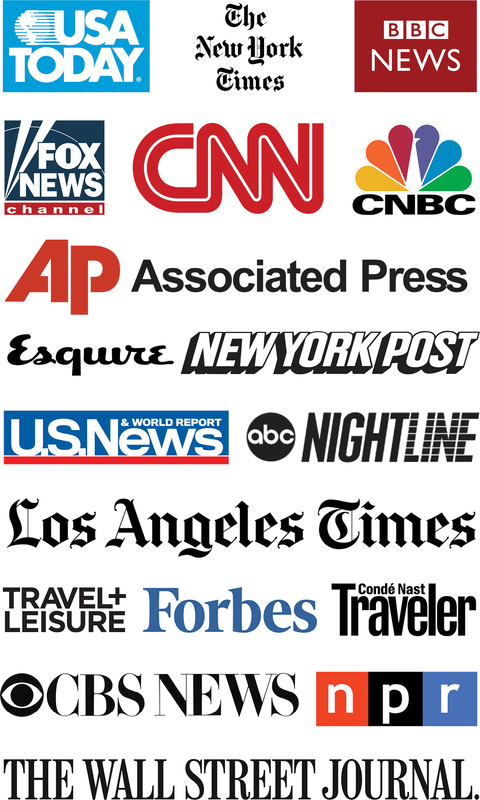 These awards are offered from select cities each month and they cannot be changed or refunded. Perhaps the biggest advantage of the program is that it provides its own members more saver award space than it does to partners. If you’re looking for several business class seats, the surcharges might be worth it to be able to book everyone on the same flight. While you can use Air France or KLM’s sites to search for and book SkyTeam awards, they no longer provide a calendar search options so you’ll have to search day by day. I fail to see why removing the calendar search was anything but a slap in the face to consumers, but that’s what we have. You can transfer Membership Rewards points to Flying Blue at a 1:1 ratio — generally process almost instantly. Some phone agents (1 800 375 8723) will say they can’t hold awards, but I have been able to get a friendly agent to do so for 48 hours. Considering the problems we’ve seen its with “fraud prevention”, calling to hold your award before ticketing — and using a credit card in the account holder’s name — is advisable. The United MileagePlus program is a staple for many with Chase Ultimate Rewards points who want to visit Europe. Thanks to United’s policy of not passing on surcharges on award tickets, you won’t have to worry about the often steep surcharges imposed by many European carriers. United allows one-way awards, but you’ll need to book a round-trip award if you want to take advantage of the Excursionist Perk — United’s version of a stopover. You can also include an open jaw on these round-trip bookings so you can drive, take a train or book cheap flights to other cities before you return. While you can save some miles flying business class on United instead of a partner, you’ll want to consider whether United’s business class product is worth saving the points. As United slowly rolls out its Polaris business class product — just because the site says it’s Polaris doesn’t mean the flight has the upgraded business class cabin, this calculus will certainly change. United provides a very useful flexible date search that will show you whether economy and/or premium cabin saver-level award space is available for 2 months. You can then select a date and see the exact flight options available. Once you select your flight, you can complete your booking online. Occasionally, United will show phantom award space. Before transferring Ultimate Rewards points (1:1 ratio), make sure you click through the booking process or double check by searching with Aeroplan just in case. Once you submit a transfer request, it should process almost instantly. Virgin Atlantic is an interesting option but make sure you remember that Flying Club will require more miles for awards if you include a connection. However, if you can book a non-stop award with Flying Club miles, you can get some solid value when booking flights to Europe on Delta — and perhaps a flight on Virgin Atlantic. If you book one-way awards on Delta from the U.S. to Europe at half the round-trip rate, you can avoid serious surcharges. However, if you book a flight from Europe or a round-trip, the surcharges will be quite steep. Virgin Atlantic has standard and peak season award charts for flights to the U.K. on Delta. Additionally, the miles required will vary based on your departure city. 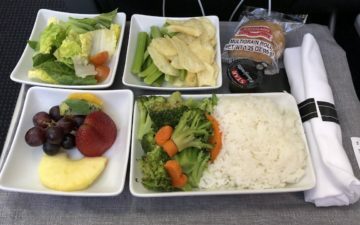 Unfortunately, while the award rates to London are competitive the surcharges are brutal — over $500 and $1,275 on round-trip economy and business class awards, respectively. Flying Club’s award chart to Europe — not including the U.K. — is much less complicated. This is where you can avoid surcharges on one-way awards to Europe in both business and economy class. You’ll need 50,000 miles for a business class award and 30,000 miles for economy. When you compare the business class rate to the rates you’ll see with Flying Blue, this is really where the value is when booking Delta flights with Flying Club. Now, if you want to book an award to London, Virgin Atlantic premium economy might be your best bet with Flying Club. A one-way award (non-stop) in premium economy will cost 17,500 during standard season (27,500 during peak season) plus ~$185. You can use Virgin Atlantic’s site to search and book awards on its own flights and Delta. If booking to Europe, you’ll likely have to click the teardrop pin in the destination field and select your destination from the dropdown menu. Once you are ready to book, you can transfer Ultimate Rewards (1:1) and book online or you can call Virgin Atlantic (1-800-365-9500) to put an award on hold for 48 hours. Transfers are often instant if you prefer to book online, but I prefer to lock in the space by calling before I make a transfer. There are a few other options that could work perfectly for you if you live in select cities. Let’s take a look at how Aer Lingus, Iberia and Singapore Airlines can get you to Europe. Aer Lingus AerClub, like British Airways Executive Club, is part of the distance-based Avios program. If you can find off-peak award space, you have a few solid options for flying to Dublin or Shannon. For flights to Dublin (DUB) from BOS, EWR, JFK, IAD, ORD and even Toronto (YYZ), you can book one-way business class awards for 50,000 Avios. Economy flyers can get an even better deal at 13,000 Avios one-way. You can also fly to Shannon (SNN) from either BOS or JFK at the same rates. You can use Avios.com to search and book online. Ultimate Rewards points transfer (1:1) almost instantly so you shouldn’t have to worry too much about award space disappearing. If you prefer, you can book through British Airways Avios at the same rate and Ultimate Rewards also transfer at a 1:1 ratio and almost instantly. To search, you can use Expert Flyer or United then call British Airways (1-800-452-1201) to book. Thanks to Iberia’s June 2018 promotion, there’s been tons of talk about using Iberia Plus Avios to book awards to Spain. Similar to Aer Lingus’ sweet spot to Dublin, Iberia provides a great sweet spot to Madrid during the off-peak season. For one-way business class awards from BOS, JFK and ORD, you can fly to Madrid (MAD) for 34,000 Iberia Avios and reasonable taxes/fees. During peak season, this award will require 50,000 Iberia Avios which still isn’t bad. You can search and book on Iberia’s site but be prepared for a few site issues as it is quite clunky. Transfers from Ultimate Rewards (1:1) usually process instantly so the process shouldn’t be too painful if you can find the space you need. You’ll be more limited if you want to fly Singapore Airlines to Europe but it does have two fifth freedom routes — one from JFK to Frankfurt (FRA) and another from Houston (IAH) to Manchester (MAN). If you want to fly Singapore Suites Class, the JFK-FRA (or FRA-JFK) is the way to go, thought award space on this route is not the easiest to find. If you can find award space, a one-way Suites Class ticket can be booked for 76,000 KrisFlyer miles while business class can be booked for 65,000 miles. If you’re flying the IAH-MAN route, you’ll be on one of Singapore’s Airbus A350s which don’t have a first class cabin. However, you will get to experience one of Singapore Airlines’ newest jets. One-way business class awards also cost 65,000 miles. You can expect transfers from Chase Ultimate Rewards (1:1) to take 12 to 24 hours. To book one of these flights, you can search on Singapore’s site and complete your booking there. 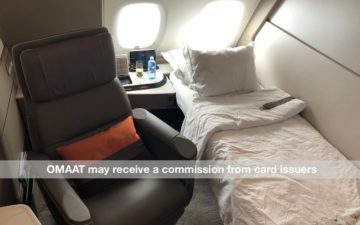 While you’ll want to keep an eye on surcharges when booking award flights to Europe, Chase Ultimate Rewards points will give you plenty of options to book. Whether you want to save some points by booking with Korean SkyPass or avoid surcharges with United MileagePlus, you can make the decision that fits your points and cash situation. How have you used Chase points to fly to Europe? Thanks for this: super useful. I use UR for business between LAX and continental Europe, only in May-July. I have to schedule at least a couple months in advance. I don’t want to stop over in the us, or in LHR, and I never find good deals and availability on Air France, so I only use United MP flying so far only on SAS, OS, or LX. My question is: Is there any rhyme or reason to when new availability should come availible? I’m looking now and basically the only choice was OS, and only on a few dates in June. Is there any way to guess or anticipate when more might open up? Or do you just have to check every day? It should be noted if the cash fare is less than $900, The cash equivalent in economy through the Chase portal is a better return at the current airfare prices, plus they usually earn awards. Any sweet spots for American Aadvantage miles? And of course the best option is now missing. USA to Europe for 80k roundtrip in business on Delta/KLM/AF with Korean (+ fuel surcharges). UR has just lost by far its best partner for premium travel. Don’t you need Saver award availability to even book with Korean miles? So for the Iberia option, if I live in DCA can I add a short domestic segment to get to JFK at no further charge? @HoKo no. Best bet is to do a separate award booking to JFK for another ~11k + $20 in Y. Thanks. Yeah many years ago I did the whole bus to NYC and then take a flight. It was a pretty crappy experience so I haven’t done it since haha. The last sentence of your post says “Whether you want to save some points by booking with Korean SkyPass or avoid surcharges with United MileagePlus, you can make the decision that fits your points and cash situation,” and yet you don’t discuss SkyPass because it’s no longer a partner soon. You should edit the last paragraph. Doesn’t Lufthansa offer a service that also offers a shower? Spencer, I love these articles able it how to maximize the different rewards programs for different parts of the world! Keep up the good work! Agree with others, Spencer, that these posts/detailed analysis region-by-region are terrifically useful. One question–or maybe observation–is that I don’t see the value of booking OW with Air France Flying Blue to/from Europe vs. booking OW on Virgin Atlantic Flying Club to/from Europe, if the goal is to ultimately book at RT itinerary and keep surcharges to a minimum. For both, seems like best option is to book from US to Europe OW on Delta to avoid fuel charges (and mileage required for J seats seems to be about the same at 65,000-70,000). And booking OW flight back from Europe to US can be via either program and will include surcharges. So, on the outbound (US to Europe), it seems like the discerning shopper needs to know whether Delta offers the exact same availability to both Air France and Virgin Atlantic–or whether you might get different results/availability using one program or the other. Or whether one search engine is easier than the other. On the return (Europe to US), it sounds like one should choose Air France metal, or Virgin Atlantic metal or Delta based really on convenience of flight times and availability. You’ll pay about the same in mileage and surcharges with any of the choices. Do I have all this right? I booked an economy AF promo award IAD-CDG-FCO next month. what’s the chance of upgrading to business with cash at the airport?